Liz Bourke foisted this question upon me on Twitter using her profound ability of psychic suggestion and the promise of free alcohol. The question is this: what would the world look like if gunpowder had never been discovered? I’m only going to consider worlds like our own in which the materials for gunpowder exist. I feel inadequate to the task of arguing the science involved in imagining the absence of gunpowder materials. I’m only going to consider worlds like our own in which the inhabitants didn’t discover gunpowder until much later — up to about when the early modern period began. I find it unlikely that gunpowder would go undiscovered indefinitely. Due to my limited knowledge of other gunpowder-using cultures, most of what I will say below will come from a largely Western perspective. It will likely be somewhat reductive primarily because I can’t write a 200-page book about the subject and expect anyone to read it. However, if you can shine some light on how the above question might have affected different cultures before (or after?) colonization or contact w/ other cultures, please write a post in response. I don’t have that expertise, and so I will refrain from making too many assumptions. My understanding of gunpowder is that it was discovered by the Chinese sometime between the 9th and 11th centuries (the Tang and Song Dynasties, respectively). Its explosive potential, however, wasn’t fully realized until many centuries later — somewhere around the 13th century in China. The rest of the world more less caught on after the powder’s discovery, using it eventually to make weapons at roughly the same time as the Chinese. Between the 15th and 17th centuries, the formula was perfected and put to use in weaponry on a wide scale. 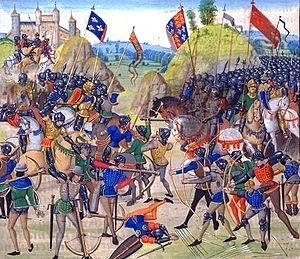 But if a world were to exist where gunpowder did not get discovered by the Chinese (or anyone) in the 9th/11th century and did not change the course of history until some centuries after the 200 year period mentioned above, wouldn’t the world we know now be a drastically different place? Obviously. For one, the course of warfare would have to change considerably to meet the demands of battle. More advanced form of crossbows would likely fill the gap as medieval technicians created better ways to load and fire bolts. I suspect we’d see widespread use of ballistas and crossbows with the ability to fire multiple shots before the need for reloading. Some of these weapons already existed in the day, but they were inefficient and were eventually supplanted by better forms of weaponry (the musket, cannons, etc.). The Chinese, for example, had a repeater crossbow as early as the 4th century BC, and the Greeks had designed a repeating ballista in the century afterwards. These devices were certainly difficult to create and expensive, but without the explosive power of gunpowder, the need for more accurate, efficient, and speedy forms of these devices would become necessary. Over time, the adaptations of warfare would include changes in armor, greater use of castle defenses, and perhaps the development of other forms of explosives or flammable liquids for use in catapults and other siege machines. Personally, I like the idea of Greek fire becoming a common tool used in warfare, though this would eventually become less useful over time as everyone began to prep their defenses against such things. While I’m no expert on medieval sea warfare, I imagine the absence of gunpowder-based cannons would mean greater need for well-trained soldiers on the decks of ships and a frequent use of flammables either in the trapping of enemy ships or as a matter of the boat siege process. In my mind, I imagine balanced crews of soldiers, sailors, and chemical experts, each in place in just the right numbers to combat the onslaught of chemicals and soldiers trying to crash or take over enemy ships full of supplies or ground troops. And don’t forget the crossbows and ballistas. A ballista whose tip contains a pouch of flammable liquid could be launched through the wooden hull of an enemy ship, and fire-tipped bolts or arrows could be used to light the enemy ship on fire. In a weird way, I just imagine warfare to be a more violent, flammable, terrifying endeavor, such that it might actually be against the better judgment of monarchic leaders to consistently wage war against their enemies. At some point, the cost would become too great to constantly grab for territory. The more interesting part, for me, is the impact all of this would have on the colonization of the Americas. Because muskets and cannons were such a strategic advantage for the Europeans who eventually took the Americas for themselves, it is curious to think about the ability of the Native Americans to actually combat the invasion. Though Native American weapons would have to adapt to the needs of warfare, there wouldn’t be as large a difference in terms of the technology between European projectiles and Native American ones. 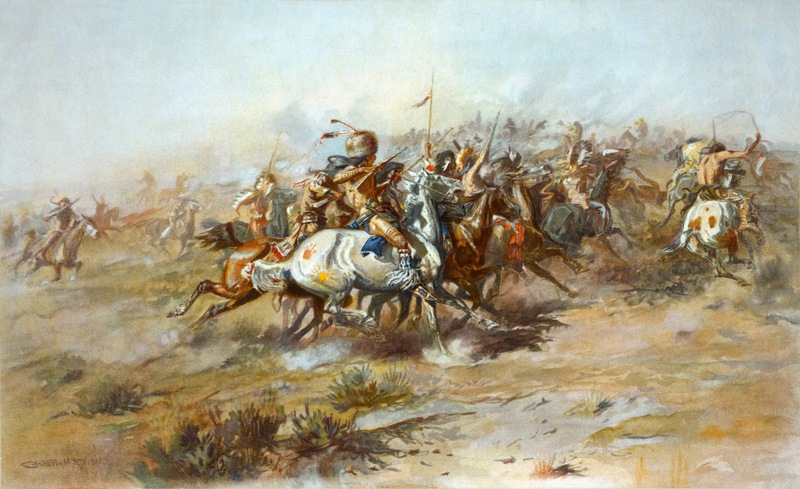 The Europeans could certainly outmatch Native American warriors in terms of firing range and speed, but I wonder if they would still have the advantage in hand to hand combat or in dealing with guerrilla tactics, particularly with reduced ability to deploy explosives at long distances (cannons, etc.). In particular, I imagine the Europeans would have kept to their armor-based marching style, which might work in a frontal assault, but against a non-traditional fighting force, such as that deployed by Native Americans at various stages of the conflict in our own world, I don’t think it would help in the long term. Unfortunately, I still think the Europeans would come out on top, but that’s largely because the inevitable bio-warfare would become a center piece. There’s nothing to be done about the introduction of smallpox and other diseases into the Americans that the Native Americans simply hadn’t survived yet. And I imagine the Europeans would eventually figure out, as they did in our own world, that one could infect the natives with diseases that would kill a lot of them off. However, I have a sneaking suspicion that the movement West (after the formation of America in our world, but perhaps without that expansion in this imaginary one for this post), would have been halted or at least severely delayed due to the weaker advantage on the part of the Europeans. All of this, however, assumes that the Europeans would have arrived in the New World at roughly the same time as they did in our own world. Imagine, if you will, what the New World might have looked like if the Spanish hadn’t arrived in Central and South America until 200 years later. Imagine if the British and French had been delayed in their colonization of the New World, too. I can’t say whether there would have been any enormous technological advances among the Native American populations with that extra time. Certainly, some things would have changed, but would those changes have been warfare based? I don’t know. However, I do think it’s fair to say that the advancement of Europeans across the Americas would have been considerably slower, and perhaps far less violent. Conflict was probably inevitable, but it’s much more difficult to justify the mass extermination of another people when you are not, in fact, that advanced in warfare technology OR in numbers. There would be a greater necessity for cooperation. And that cooperation would, I think, work partially in the favor of the Native Americans, if only because the cultural transmission would have been measured and more open. That, in my mind, produces the conditions necessary for organic adaptation within cultural groups. But all of this is loose, strange speculation on a topic about which I know considerably little. On that note, I’ll end with a question: What are some short stories or novels which imagine a world without gunpowder (or a world where someone else discovered gunpowder and Europe didn’t become a super power)? : Most of this sentence is not true. : I’m not a historian, so a lot of the dates I have given here are loose. : Gunpowder had been used in explosives and other forms of weapons after its discovery, but it didn’t completely alter warfare, as I understand it, until that 200 year period. I’m getting much of this loose information from the source list on this Wikipedia page (many of which come from a fellow by the name of John Merton Patrick, who wrote an essay for a University of Michigan academic journal). So, yes, I’m using Wikipedia, but only as a nice pointer for better sources. : I also imagine a world where assassinations are more frequent as a method for avoiding physical conflict. : I hope readers will forgive me for the somewhat reductive view of the Native Americans here. Most of what I’ve written is fairly reductive, so my focus is less on the particularities of these real world conflicts than on basic concerns as they relate to the topic. If one were to actually use the idea of a gunpowder-free society to create an alternate history, they would have to do far more research than I have done here. This is a scratching-the-surface type thing.